NASCAR legend, Bobby Allison, was on born December 3, 1937 in Hialeah, Florida. Allison is a retired NASCAR Winston Cup driver and was named one of NASCAR's 50 greatest drivers. His two sons, Clifford Allison and Davey Allison followed him into racing, and both died within a year of each other. 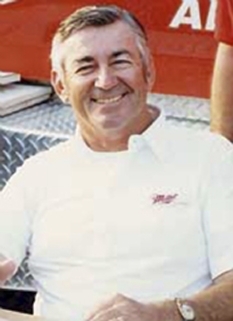 Bobby Allison entered his first race as a senior at Archbishop Curley-Notre Dame High School in Miami, Florida, but was asked to quit by his father. After high school in 1955, Allison took his brother Donnie and some friends along on a quest for more lucrative racing than was available in south Florida. His searching led him to the Montgomery Speedway in Montgomery, Alabama, where he was told of a race that very night in Midfield, Alabama near Birmingham. Allison entered and won that race, along with two other races that week. He had found his lucrative racing. Bobby and Donnie set up shop in Hueytown, Alabama with another friend (Red Farmer), and they began answering to the name Alabama Gang. Bobby Allison also worked as a mechanic and an engine tester, but eventually became a driver and won the national championship in the modified special division in 1962. Allison moved to the Grand National circuit in 1965 and got his first victory at Oxford Plains Speedway on July 12, 1966. During the course of his career, Bobby Allison accumulated 84 victories, making him third all-time, tied with Darrell Waltrip, including three victories at the Daytona 500 in 1978, 1982 and 1988, where he finished one-two with his son, Davey Allison. 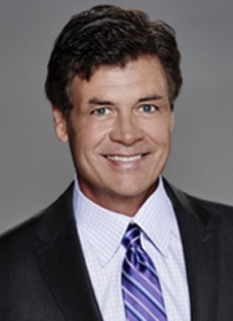 He was also the NASCAR Winston Cup Champion in 1983 driving for DiGard Racing. Additionally, Allison ran in the Indianapolis 500 twice, with a best finish of 25th in 1975. Allison was involved in an accident at Alabama International Motor Speedway (now Talladega Superspeedway) in May, 1987 that saw his car turn sideways and go airborne into the protective catch fence that separates the speedway from the grandstands. The impact with the fence with the rear of the car at over 200 miles per hour caused nearly 100 yards of fencing to be torn down, and parts and pieces of the car went flying into the grandstand injuring several spectators. This is the same race that Bill Elliott set the all-time qualifying record at 212 mph. In response, NASCAR mandated smaller carburetors for the remaining 1987 events at Talladega and its sister track, Daytona International Speedway. The following year, NASCAR mandated restrictor plates at Daytona and Talladega to keep speeds under 200 miles per hour. Allison would win the first Daytona 500 run with restrictor plates in February 1988 by beating his son Davey Allison. He is the oldest driver (50 years) ever to win the Daytona 500 and the first one-two father/son finish in the Daytona 500. 1988 racecarLater that season, on June 19, 1988, Bobby Allison nearly died in a crash at Pocono Raceway, but was left with injuries that forced his retirement from NASCAR. In 1992, his youngest son, Clifford Allison, was fatally injured in a practice crash for the NASCAR Busch Series race(now Nationwide Series) at Michigan International Speedway. Allison was elected to the International Motorsports Hall of Fame in 1993, the same year that his son Davey died following a helicopter accident at Talladega Superspeedway. He was inducted into the Motorsports Hall of Fame of America in 1992. Bobby Allison is one of eight drivers to have won what was then considered a career Grand Slam (an unofficial term) by winning the sport's four majors: the Daytona 500, Winston 500, Coca-Cola 600, and the Southern 500. 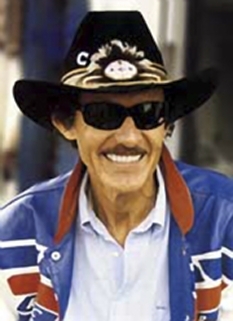 Richard Petty, David Pearson, Darrell Waltrip, Dale Earnhardt, Jeff Gordon, Jimmie Johnson, and Buddy Baker are the other seven to have accomplished the feat. The 1971 Myers Brothers 250 was held August 6, 1971 at Bowman Gray Stadium in Winston-Salem, North Carolina. The first car to cross the finish line after 250 laps was driven by Bobby Allison. The dispute in question came because of early 1970s combination races for the smaller Grand American Series, featuring "pony" cars, such as the Chevrolet Camaro, Ford Mustang, and AMC Javelin, and the Grand National Series, featuring the Chevrolet Chevelle, Ford Torino Talladega, Dodge Charger Daytona, and Plymouth Roadrunner / Superbird. For that race, and the race following at West Virginia International Speedway, Allison raced a Grand National - Grand American combination race in a Grand American Series specification 1970 Ford Mustang, #49, sponsored by Rollins Leasing, and owned by Melvin Joseph. (Joseph was the head of Dover International Speedway until his death in 2005.) As he was not racing in a Grand National car, he never received credit in that series, but was credited with a Grand American Series ("pony" cars) win. It should be noted NASCAR has had co-sanctioned races with various series in the past; in such cases, the win counts only in the series which that driver's car was sanctioned. 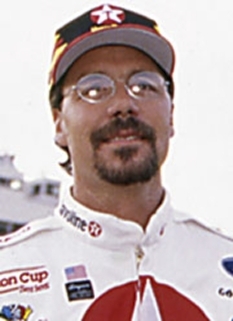 The driver tied with Allison in all-time Cup wins because of the dispute is involved in this incident. An Automobile Racing Club of America / Winston West combination race in College Station, Texas on March 21, 1993, was won by Darrell Waltrip, driving an ARCA entry. 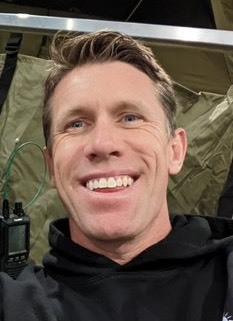 That win was credited as an ARCA win only, and not counted in the NASCAR AutoZone West Series, Grand National Division (as it is currently known) win list. Likewise, when a Winston Cup driver won a Winston Cup / Winston West combination race, the win counts in Cup, not West. The Busch Series and Busch North Series also raced combination races in the past. Bobby Allison was a car owner for numerous drivers from 1990 to 1996, most notably Mike Alexander, Hut Stricklin , Jimmy Spencer, and Derrike Cope. Bobby Allison has actively promoted rail safety for the CSX "Keep on Living" campaign with appearances at Talladega and Daytona. Racing Champions still ran die cast replicas of Allison in 1991 despite Allison being retired, the cars had Allison's 1988 paint scheme but no sponsorship. On March 6, 2008 Bobby's mother Kittie Allison died at the age of 101. She died in Charlotte, North Carolina. She was buried on March 9th. DISCLAIMER: PFP Sports Talent Agency does not claim to represent itself as the exclusive agent for Bobby Allison. PFP Sports Talent Agency is a booking agency that represents organizations seeking to hire pro athletes and sports personalities such as Bobby Allison for speaking engagements, personal appearances, product endorsements and corporate entertainment. Fees on this website are estimates and are intended only as a guideline. Exact fees are determined by a number of factors, including the location of event, the talent’s schedule, requested duties and supply and demand. PFP Sports Talent Agency makes no guarantees to the accuracy of information found on this website and does not warrant that any information or representations contained on this website will be accurate or free from errors. We are often asked how can I find out who is Bobby Allison's agent? 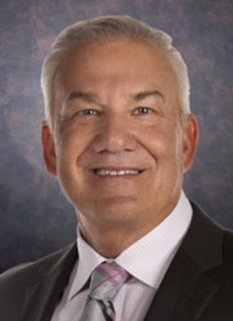 To find Bobby Allison appearance fees and booking agent details, you can contact the agent, representative or manager through PFP Sports Talent Agency for speaking fee costs and availability. PFP Sports Talent Agency can help your company choose the ideal sports personality for your next marketing campaign. To hire Bobby Allison for an appearance, speaking event or endorsement, contact Bobby Allison's booking agent for more information.